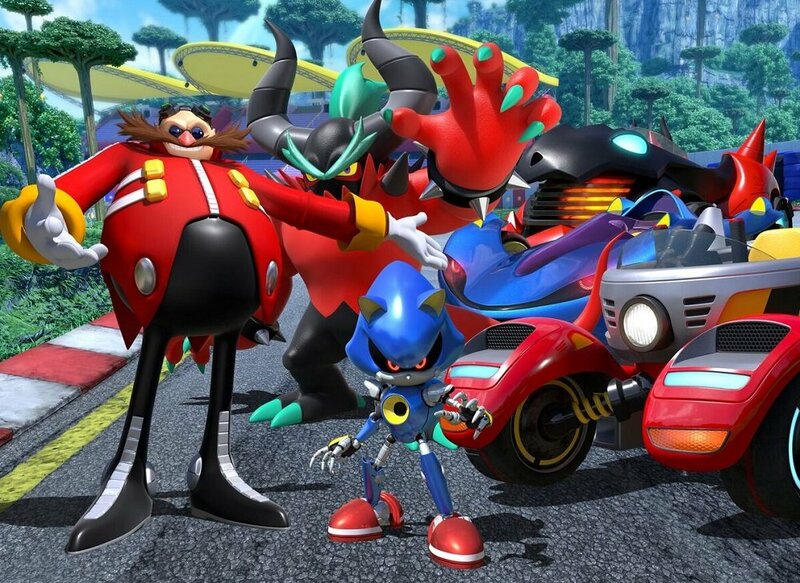 Sega has revealed a new trio for upcoming road-runner Team Sonic Racing. Today, it's the villains time to shine, as three baddies from the Sonic the Hedgehog universe form up to steal the chequered flag. 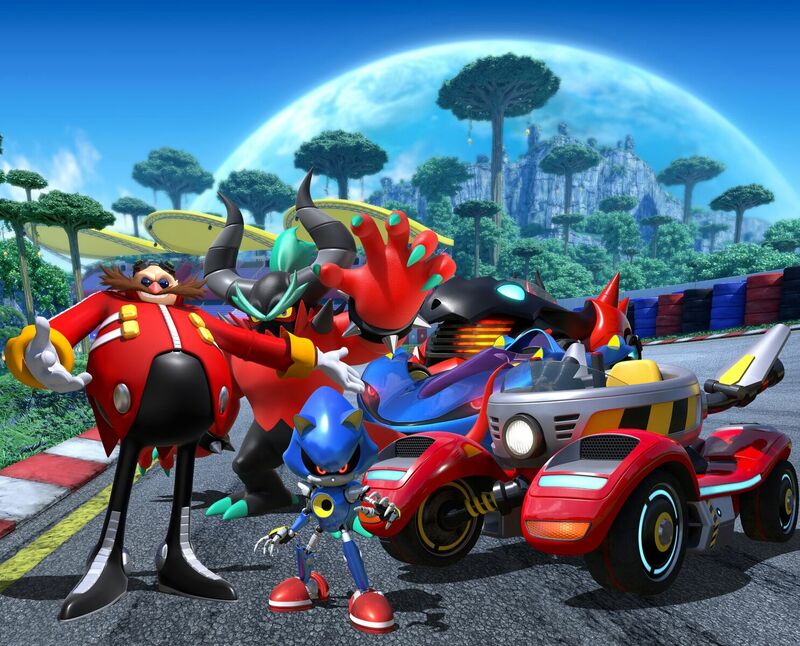 Team Eggman consists of Deadly Six member Zavok, who fans will remember from Wii-U title Sonic Lost World. Joining him is my personal favourite character from Sega All-Star Racing Transformed; Metal Sonic. This terrible trio is rounded out with the blue blur's most notorious nemesis, the pesky Dr. Ivo Robotnik. You can check out the villains and their vehicles below, in what has to be one of the busiest images I've ever seen. Team Sonic Racing launches on PS4, PC, Xbox One and Nintendo Switch May 21, having been pushed back from its initial 2018 release date.